Stari Vrh is one of two ski areas that serve the historic town of Skofja Loka, the other being the higher altitude resort of Soriska Planina (1280-1549m). Nearby resorts and their road distances are Cerkno at 35 km, Soriška planina at 25 km, Kobla at 38 km, Vogel at 45 km and Krvavec at 42 km. However, Stari Vrh compensates for its elevation (580-1216m) by offering much greater vertical range. 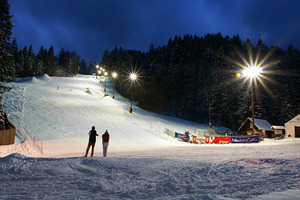 There are 10km of wide tree-lined pistes at Stari Vrh. Extensive snow-making is available. Went to Stari Vrh in early December 2010 and it was a great holiday. Stari Vrh staff were so helpful and really, really friendly. As a non-skier they helped us so much to enjoy the day. 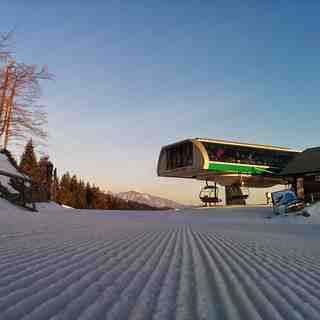 The bars on top and bottom of the slopes are good. Price for a beer and equipment hire was good and cheap. 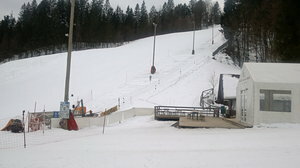 Going back on 29 Jan 2011.